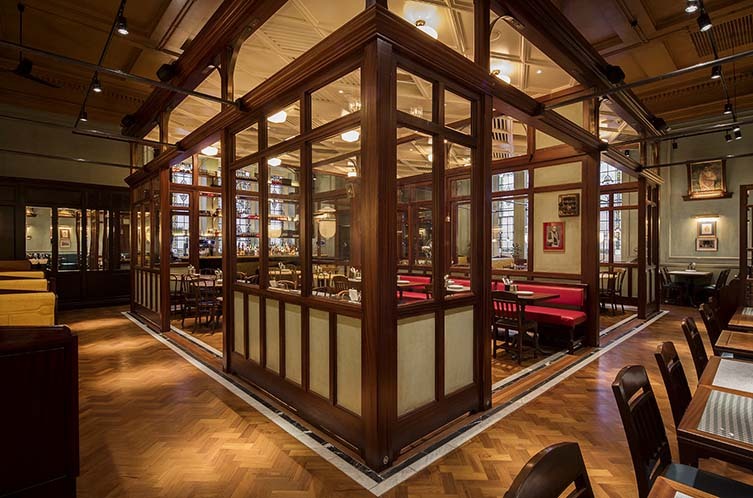 Shamil and Kavi Thakrar’s much-lauded group of Indian restaurants informed by the old Irani cafés of Bombay has opened in Manchester; whipping the folk of Cottonopolis into a frenzy, with hungry bustle along Bridge Street a regular sight as fans of Dishoom wait for table in one of the two glamorous dining rooms. 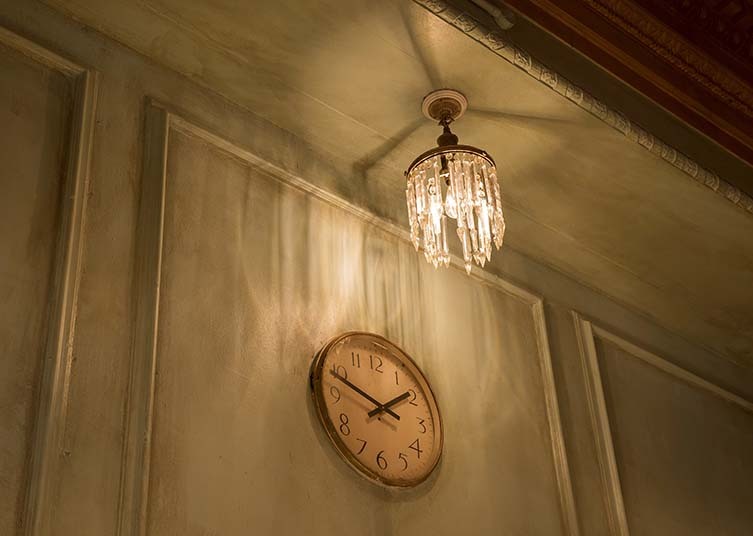 Located on the ground floor of Manchester Hall—a 1920s Grade II listed building originally used as a Freemasons’ Hall—co-founders Shamil and Kavi, alongside long-time collaborators Macaulay Sinclair, travelled to Bombay to study the architecture of the late 19th and early 20th century in their efforts to conceive Dishoom Manchester. 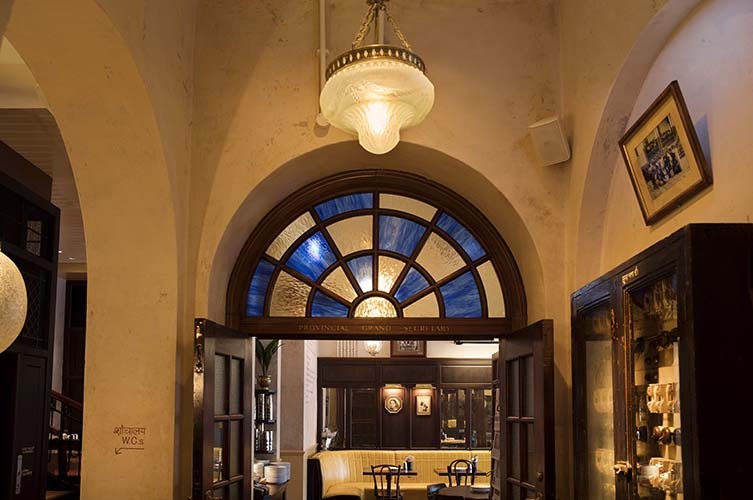 Their findings—buildings such as the District Grand Masonic Lodge of Bombay, The Cotton Exchange Building, and some remaining Irani cafés—informing the overall aesthetics of this lavish 231-cover space; which include 150 pieces of furniture and fittings from the 1920s lovingly restored and dotted around the sprawling restaurant. 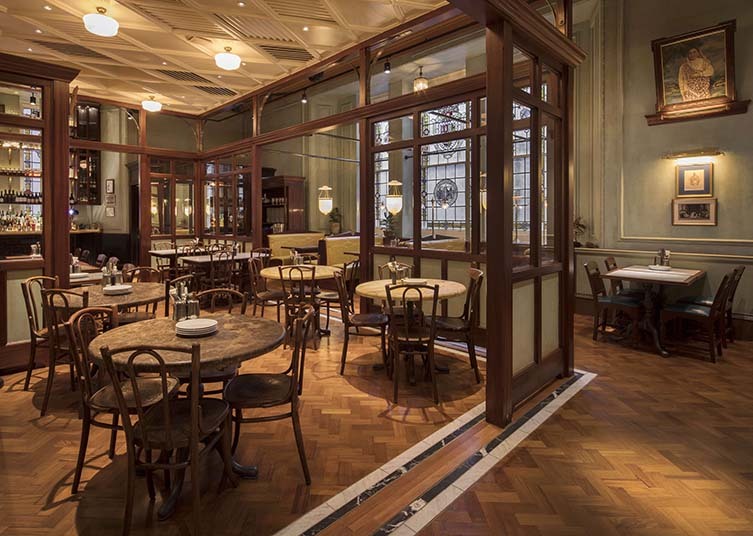 Keen to retain some original features throughout the restoration, the entrance—with Dishoom’s signature incense allure—features marble green skirting dating back to 1929, and the Front Room’s parquet flooring and lead-framed windows have remained alongside two vast stained-glass windows, three glass droplet chandeliers, and the original ceiling. 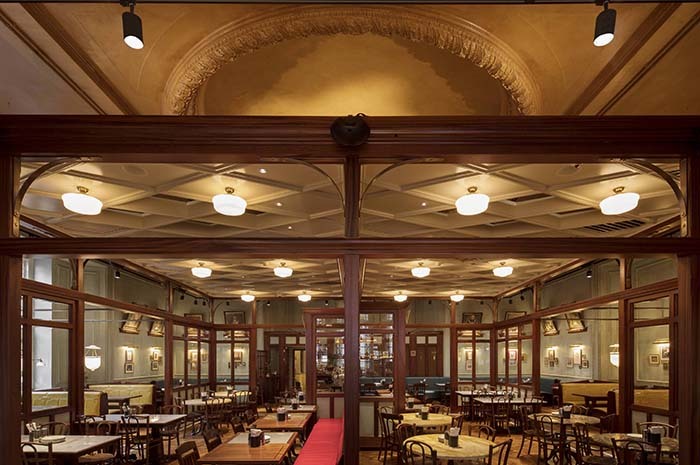 Moving through the space, diners can set their sights on a clock in the Family Room—which is a close replica of that in the Cotton Exchange Building—whilst hanging in the Dining Hall are commissioned portraits including one of the great grandmother of a friend of Dishoom and former District Grand Masters of Bombay. 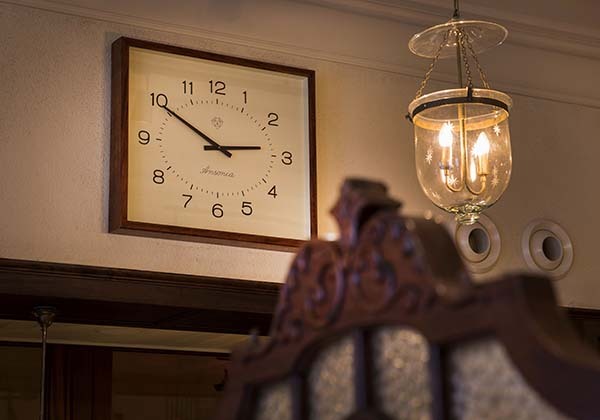 It’s an inspired space steeped in the weight of history but with its own singular feel, no mean feat to achieve in a building of such majesty. 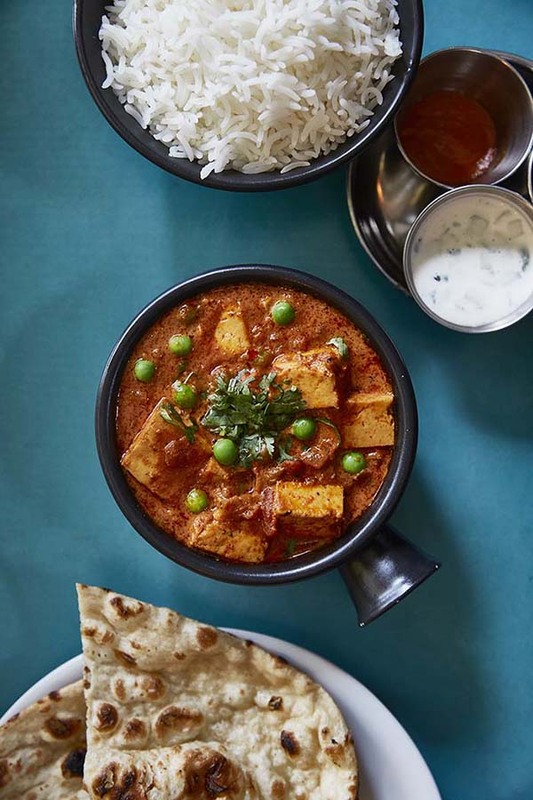 Open for breakfast and serving up executive chef Naved Nasir’s infamous bacon naan roll, sausage naan roll, and house chai, proceedings are followed with an all-day menu consisting of their highly-regarded small plates, grills, biryanis, salads, and hand-made breads. 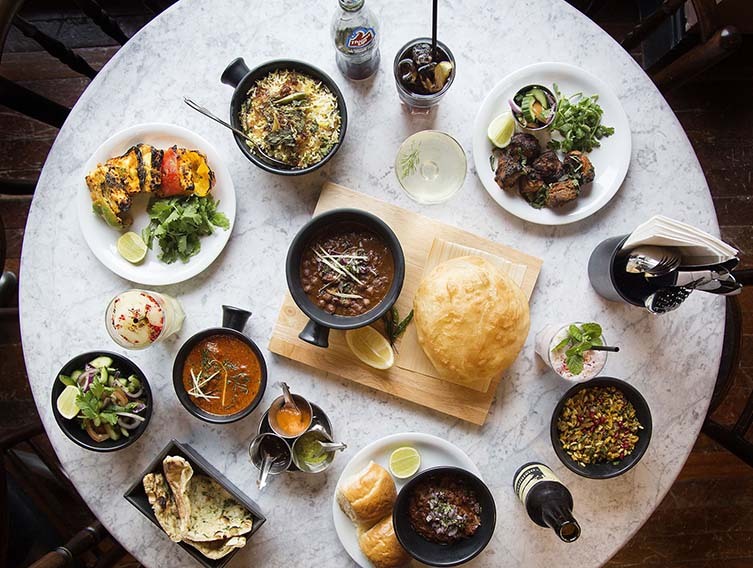 Their signature House Black Daal is on offer, as is Manchester-exclusive, ‘Nalli Nihari Biryani’; a shank of tender lamb layered with caramelised onions and sealed beneath a pastry blanket. 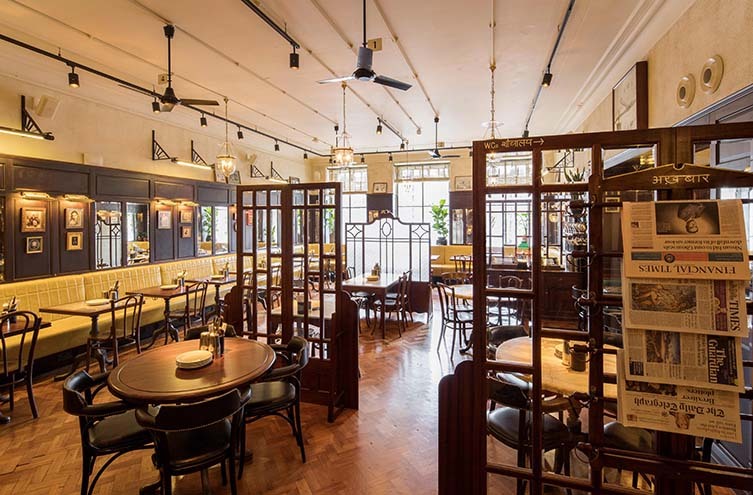 Settling into a booth in the Family Room that recalls the faded elegance of Bombay’s old Irani cafés—led from the entrance through the Front Room, the Permit Room bar, and the winding nooks and crannies between—our affable waiter introduces us to both himself and the menu, but not before filling us in on the history of the building and the concept of the restaurant; suggesting a small plate to tuck into whilst we go over an extensive menu, to which we cordially agree. 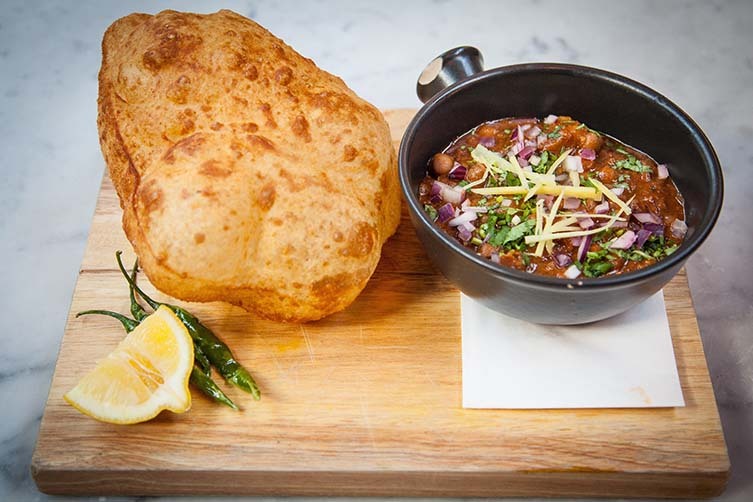 The keema pau is an old Irani café classic. 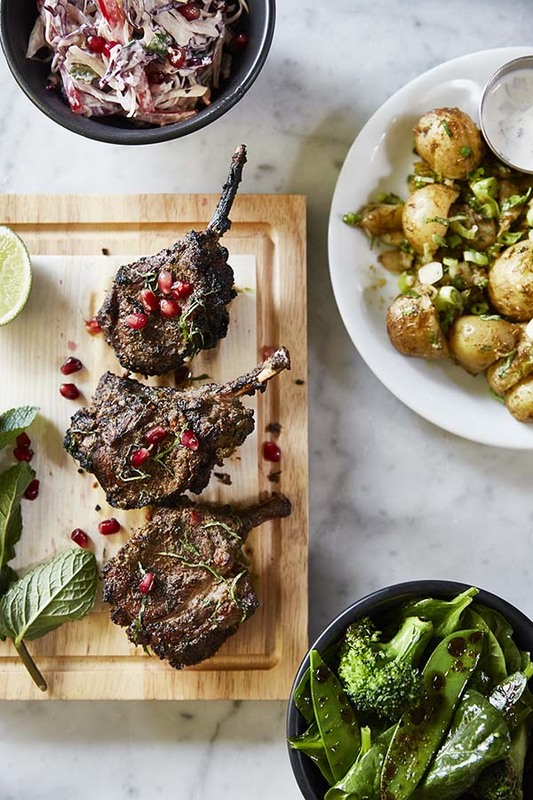 With spiced minced lamb and peas with a toasted, buttered, home-made bun to mop up, its rich, dense flavour is a sign of things to come. An East India Gimlet (Portobello Road gin with Rose’s lime and a touch of celery bitters) and Dry Old-Fashioned (smoked demerara, orange bitters, applewood, cayenne and orange peel) arrive—the latter a revelation as rich fiery flavour belies its lack of alcohol—and we move onto the remainder of the feast: Mahi Tikka, sustainable basa fillet in a subtle yoghurty marinade; Chicken Ruby, tender chicken in a rich silky ‘makhani’ sauce; Dishoom Slaw, kachumber with shredded carrot, green capsicums, raisons and mayonnaise; grilled broccoli, snow peas and spinach tumbled with chilli and lime; and homemade naan and roti. 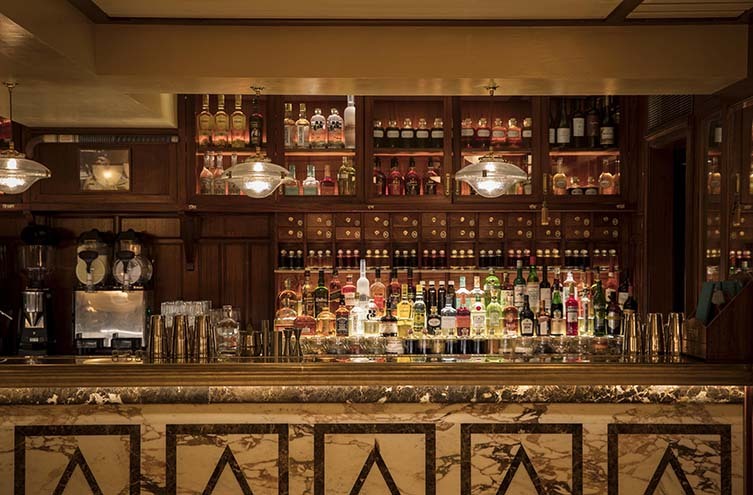 Its as decadent and delicious as these old interiors, and every mouthful is savoured. If you want my advice: bring friends. Lots of them. 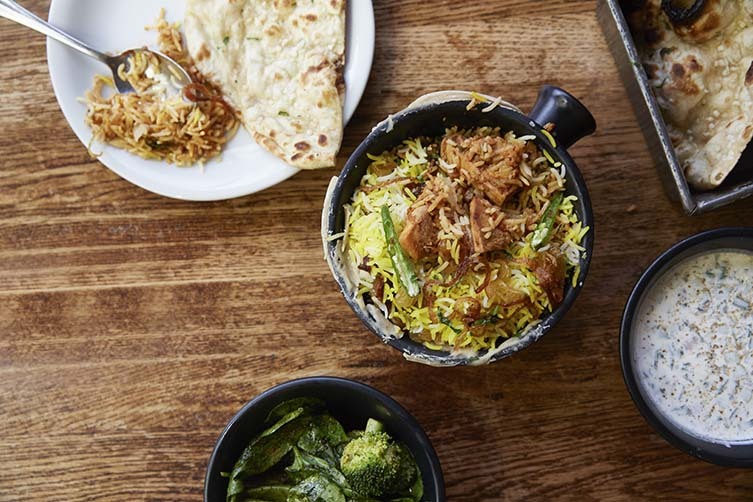 Dishoom’s menu is a masterful riot of flavours and exquisite cooking, we want to try so much more but there’s only so much damage two people can do to themselves in late afternoon. We attempt to repair some of said damage with a refreshing Kashmiri chilli ice-cream and a quite remarkable ‘Kala Khatta Gola Ice’, Kakigōri-style flakes of ice soaked in kokum fruit syrup, with blueberries, chilli, lime, white and black salt. “The first spoonful tastes bizarre,” the menu reads, “the second spoonful is captivating.” To be frank it’s captivating from the very off. 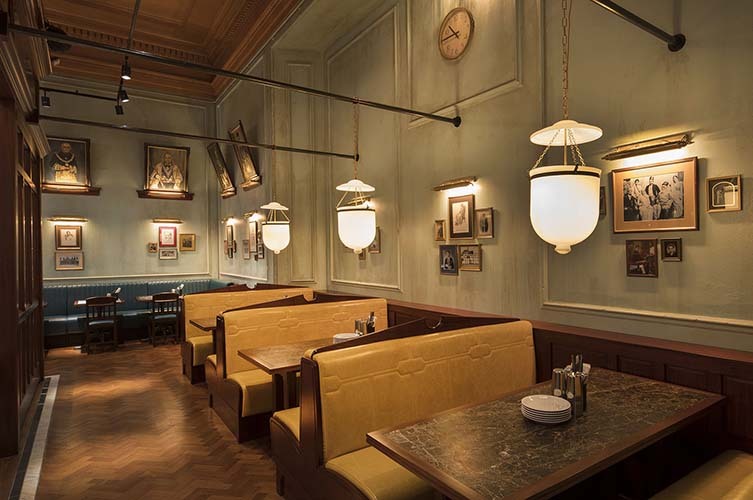 With its fusion of atmosphere, impeccable service, and superlative cuisine, Dishoom’s latest addition is a big-hitting blockbuster of a place—a spot to bring people together over food and drink, to marvel at rich Mancunian heritage and to daydream over the evocative Irani cafés of old. 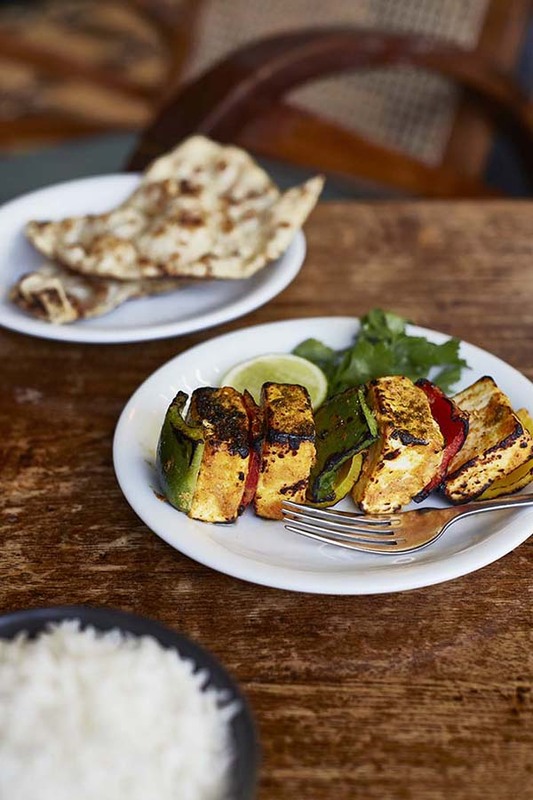 Exploring unexpected links between Freemasonry in Manchester and Bombay, the team’s all-consuming attention-to-detail has turned out another winner, and a new go-to destination for the culinarily curious across the north west. A triumph. 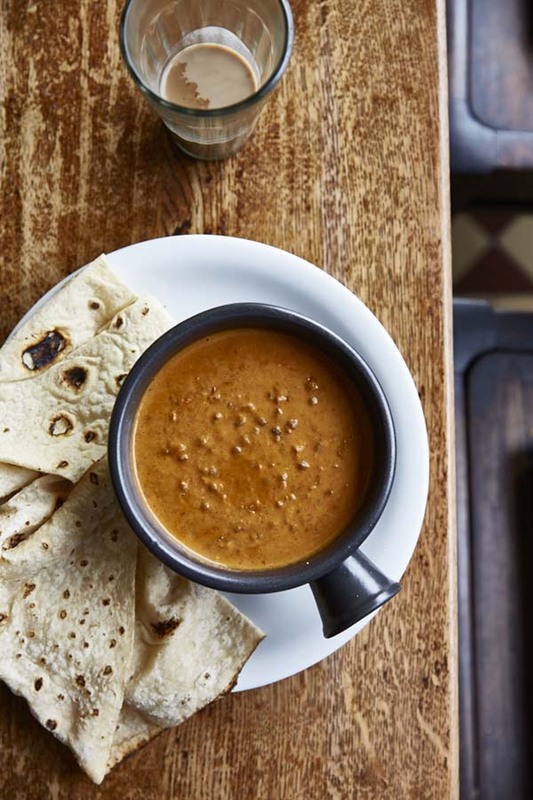 Dishoom Manchester Photography, courtesy Dishoom.